Climate control and employee comfort is critical in ensuring a happy workforce. At The James Mercer Group Ltd we understand the importance of accuracy and knowledge when dealing with all plumbing, HVAC and associated building services work. Our reputation working in this industry has led the way to us working for organisations including Leyland Business Park, Lytham Jubilee House, Blackburn Cathedral Quarter, Cumbria Country Council Offices and Christ Church Precinct with Lancashire Country Council. 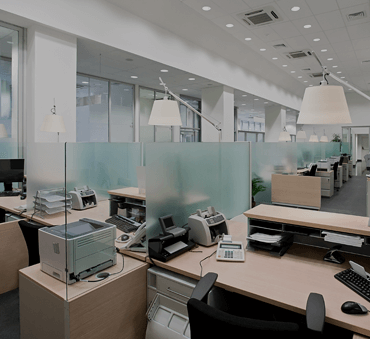 The office accommodation work is extremely varied in services we offer and size of contracts. If you would like to know more about our services to the office accommodation markets please contact us for specific project information.